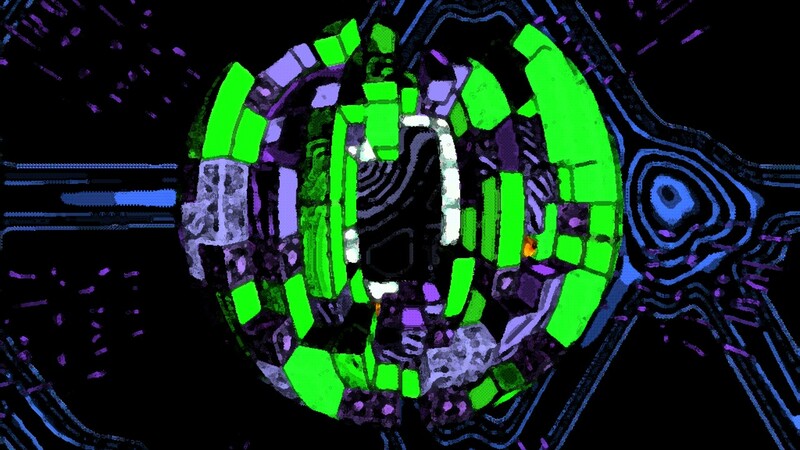 Краткое описание: Tetrisphere is a variant on Tetris in which various shapes are shifted across a wrapped three-dimensional grid resembling a sphere, and then destroyed. The objective of the game changes depending on the mode, but generally consists of removing layers of shapes to reach the playing field's core. Despite very little domestic advertising, Tetrisphere enjoyed moderately good sales and a mostly favorable critical reception. Reviewers praised the game's originality and the musical score composed by Neil D. Voss. 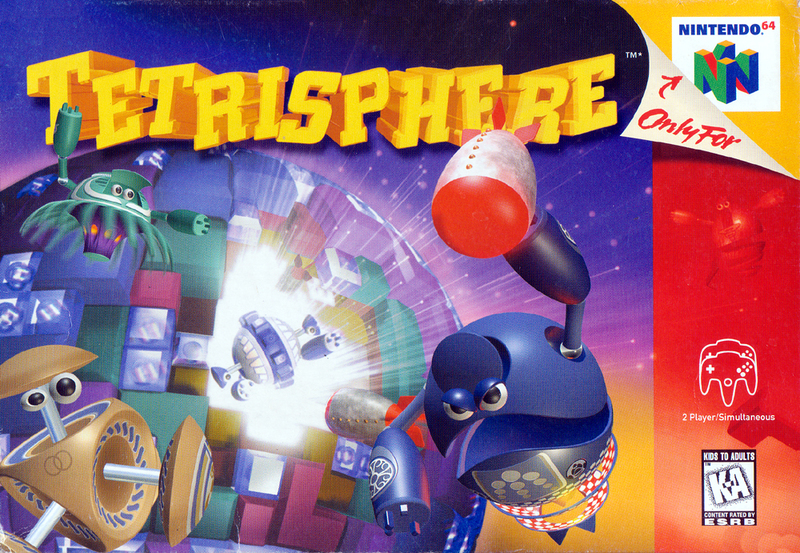 Tetrisphere is a variant on Tetris in which various shapes are shifted across a wrapped three-dimensional grid resembling a sphere, and then destroyed. The objective of the game changes depending on the mode, but generally consists of removing layers of shapes to reach the playing field's core. 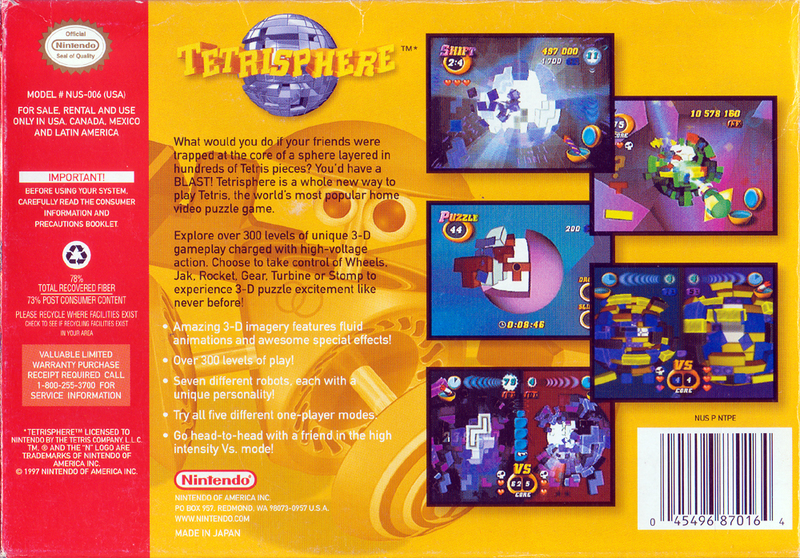 Despite very little domestic advertising, Tetrisphere enjoyed moderately good sales and a mostly favorable critical reception. Reviewers praised the game's originality and the musical score composed by Neil D. Voss.